The features look really nice – making it much easier to organize, find, track, and use documents but once again I’m left feeling that this should be an included upgrade to the sub-par document system we currently have rather than paying an additional fee for an add on service. I would hope that at some point this is rolled into the service levels much like Google Adwords product was but I’m guessing that will depend on how high the demand for the product will be. 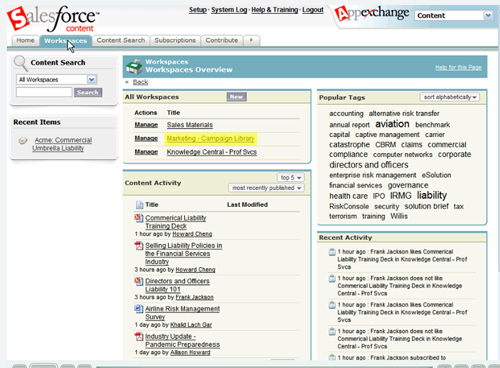 This is definitely something we would use and would make our work more efficient (the product really does look good), but as a small business owner the price we pay for Salesforce is already a significant part of our overhead and this could increase it by an additional 30% – 50% if the buzz I heard about pricing is true. I understand that they would need to limit bandwidth but perhaps this is a product that could be based on usage or total storage rather than the standard per user / per month pricing we’re used to. 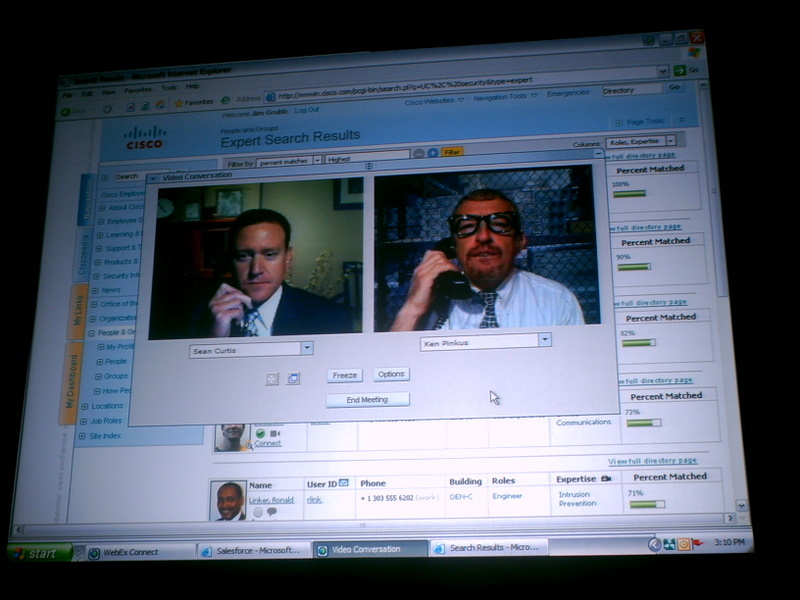 This video was shown during the Dreamforce 2007 Gathering, created by Salesforce.com’s in-house Creative Director Bruce Campbell. Nice watch if you missed it. Thanks to Mark for the tip. 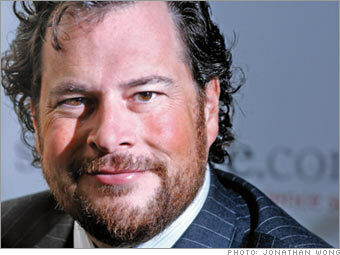 According to Forbes Magazine Marc Benioff is one of 82 billionaires that were not rich enough to make the Forbes 400 list, the elite list of the 400 wealthiest Americans. Better luck next year Marc. I just finished Posting all of my pictures to Flickr, you can access them here. For some reason there is a lot of traffic coming to the site looking for INXS pictures. If you’re only looking for those you can find them here. 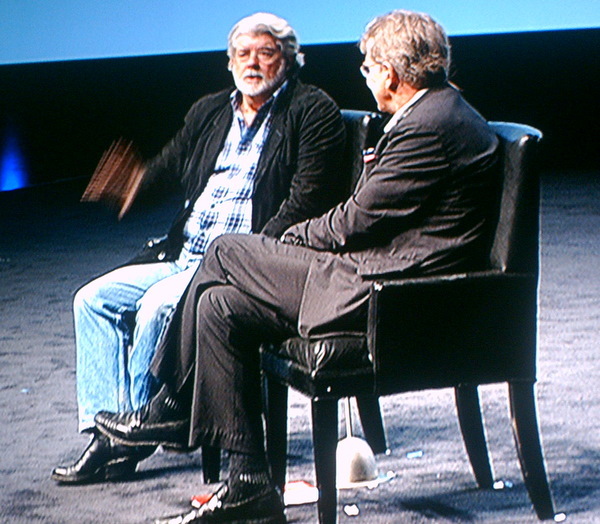 George Lucas and Bob Thurman kick off day 2 of Dreamforce 2007 with a conversational style interview. 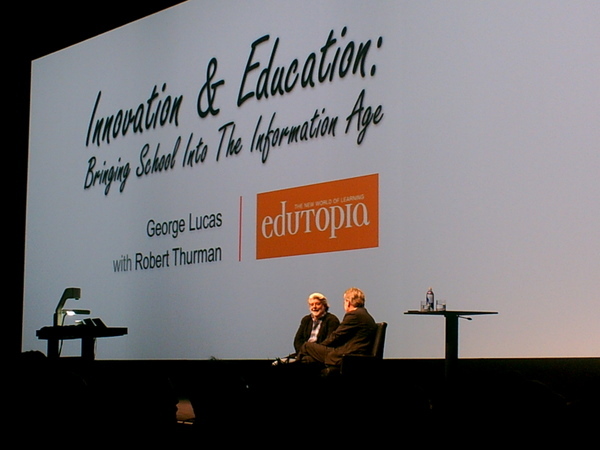 The conversation wandered a bit from the intended topic of “Bringing School Into The Information Age” as they discussed mostly ethical and morality issues. One thing they discussed that I agree whole heartedly with is that when a company does something great it helps everyone in the industry and that by helping each other in business and in life everyone can benefit. It reminded me quite a bit of one of the more influential speakers I’ve witnessed – Tim Sanders. Tim’s whole philosophy is that “you will find your success in business through helping others grow by sharing your intangibles—your knowledge, network and compassion”. I’ve personally tried to adopt this philosophy as much as possible and its paid tremendous dividends. John Chambers was a great speaker, extremely passionate about Cisco and how collaboration in the web 2.0 world is changing business and the way Cisco operates. I was surprised to learn Cisco is using Wikis, Facebook, and other new technology to improve productivity and collaboration among their employees. The presentation was turned a bit salesy with the product demonstration but was kept light and entertaining. 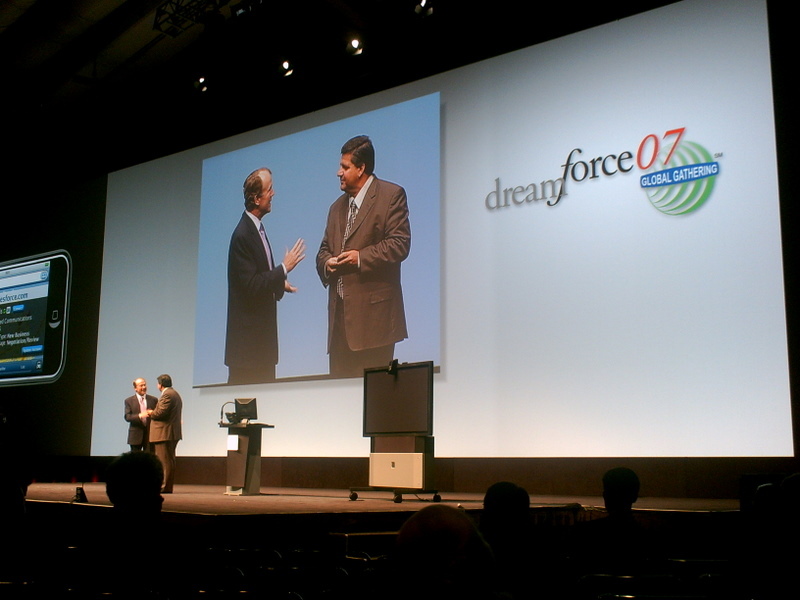 Bottom line – Cisco and Salesforce are doing some very cool work together. How will Inline Editing Affect Data Quality?